Good morning and happy Memorial Day! Welcome to the unofficial start of summer. With that comes some much needed fun in the sun and bringing out all of your brightest whites to wear. I couldn’t think of anything more fun and festive than this two-piece set with all the trimmings! The double ruffle straps and flat pom trim set this two-piece apart from the rest. The best part, pretty much this entire outfit is 20% off today only! The store is having a Memorial Day sale with almost everything at 20% off and sale items an additional 20% off at checkout. Nothing like a good sale. How cute are these statement earrings too?! I love how they have a spring and summer vibe all wrapped into one. The straw bag, with removable pom tassels, reminds me of a fiesta and is the perfect piece to kick off summer with. 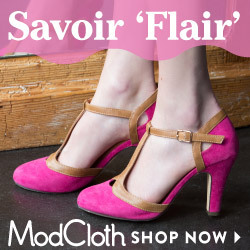 These blush heels, you know my affinity for blush!, are soooo comfortable to wear and feature a beautiful scallop trim. They fit true to size. I hope everyone is enjoying the long weekend and hopefully had some good weather. We got together with some family friends to have a cookout and celebrate the holiday. Thank you to all of those of have served to fight for and protect this amazing country!